The Chevy Nova went through many transformations during the years it was produced. While it originally was designed as a compact car to compete with the Ford Falcon, it quickly became a sportier car for enthusiasts. 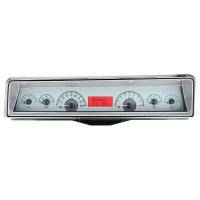 If you are restoring or customizing one of these classic Chevy cars, then you will want to upgrade the dash to digital gauges, and you can get all the digital gauges you need here. 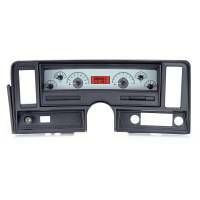 Dash gauges are designed to give the driver a quick glance at the performance of the car and alert them to trouble should the car start running too hot or the fuel level is dropping towards empty. 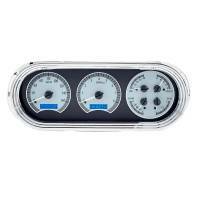 The gauges measure temperature, gas, oil pressure, speed and mileage. Some gauges have a tachometer to show RPMs between shifts. The digital gauge is an accurate way to measure the slightest change in temperature or even speed. Since you want a gauge that will fit in the dash of your Nova, and you want something that will be attractive, a digital set of gauges can do both. The gauges are designed to fit the Nova dash, and the gauges are modern and bright. H&H Classic carries reproduction parts that are designed to fit your Nova. 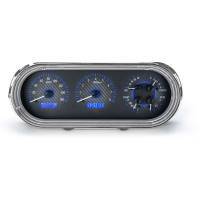 The digital gauges can be added to your 1966 Nova, or you can add a digital gauge to your 1963 Nova. You can choose between LED and needles, and some have red or blue lettering. 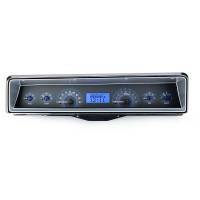 You will find all the digital gauges you need for your Nova here.